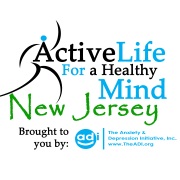 We are looking for individuals in the Northern New Jersey area, who are passionate about physical activity and its importance in maintaining good mental health. These individuals should be responsible, reliable, punctual and be interested in helping others to safely embark on a physically active lifestyle through our Active Life for a Healthy Mind program. Volunteer Community Activity Leaders are expected to lead lead community activities, or volunteer in any other capacity, at least once per month in the northern NJ area (typically on Saturday mornings). Other volunteer opportunities for the organization include, community outreach, facilitating educational workshops, administrative work and event planning. While NOT required initially, community activity leaders are expected to eventually have/get certification in CPR & First Aid and Mental Health First Aid to be able to lead activities independently. We can help new volunteers who do not have these certifications in finding low cost ways of getting them. Until volunteers have these trainings, they can serve as co-leaders, which are also needed and do not require any training. Community activity leaders will be expected to facilitate a variety of outdoor and/or indoor activities in the community to help participants to find activities that they enjoy participating in. Some of the activities offered include: hiking, walks, yoga, group fitness, and indoor rock climbing. You can have some flexibility in choosing the activities that you would like to facilitate and we are continuously looking to expand our menu of offered activities, so we are also happy to include a new activity that you are passionate about as well. If the above sounds like a way that you would like to give back to your community, we would love to hear from you so we can start the next steps and get you on board. CPR and First Aid Training is highly preferred.